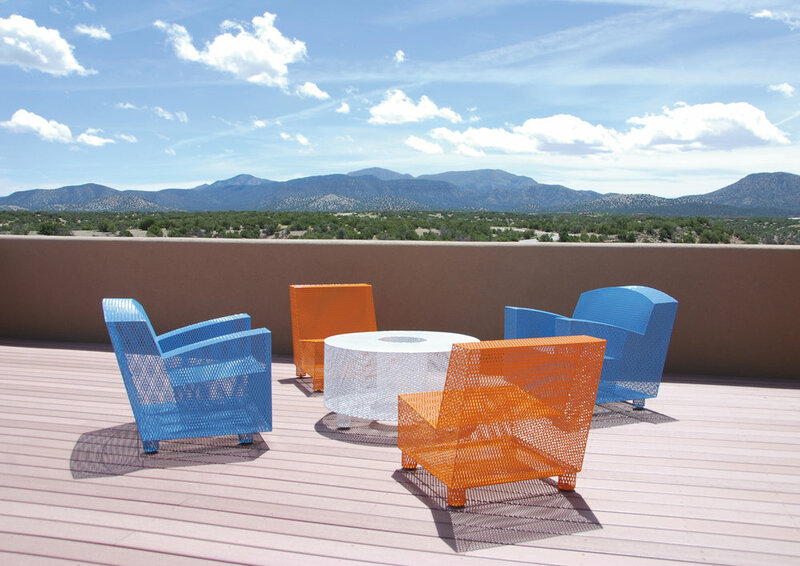 Beautiful stainless steel outdoor furniture, all TIG welded by hand in the USA. Commercially durable. Chair No. 35 is striking, comfortable and can stand alone or pair with other pieces in the line. Several customers use the chair indoors in a pop of color to create a statement piece.